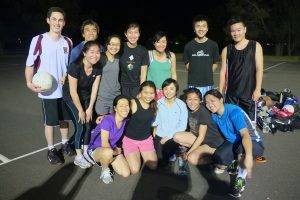 Grace International Congregation supports several sport teams comprised of members of our congregation. Through friendship and team building, we hope to build the foundation to individual evangelism and to become the bridge between church fellowships and outreach ministries. We have entered teams in various local competitions for basketball, netball and touch football. If you are interested in joining one of our teams please contact us!